Most all SEOs know that Google's search spider, GoogleBot, crawls from Mountain View, California. 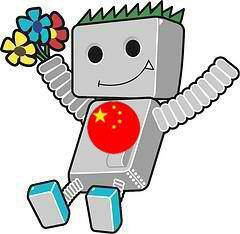 So when a webmaster asked in a Google Webmaster Help thread why GoogleBot is crawling from China as opposed to from California, some Googlers began scratching their heads. It turned out that there was some sort of bug that Google fixed to stop GoogleBot from appearing to be crawling from China. It looks like that was a temporary quirk and shouldn't be happening anymore :). Thanks for pinging us! This can be a serious issue for many sites because I know of many sites that outright block Chinese IP addresses from accessing their web sites. And if Google crawls from China and you are blocking China, then you are blocking Google from accessing, crawling, indexing and ranking your site in Google. It is weird to me that this would happen but it was also weird to Google. I am not sure how wide spread it was but this is the first complaint I have seen on this topic.